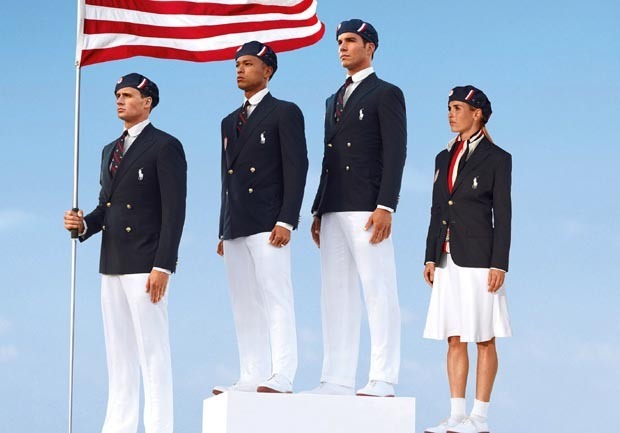 Ralph Lauren plans to produce future Olympic uniforms in U.S.
(CBS/AP) Ralph Lauren says its uniforms for U.S. Olympic athletes competing at the 2014 Winter Games in Sochi, Russia, will be made in the USA. The designer's announcement comes after it was revealed last week that U.S. uniforms for the London Games were manufactured in China, which sparked congressional criticism of the U.S. Olympic Committee. Senate Majority Leader Harry Reid said the USOC should be "ashamed of themselves" and Rep. Steve Israel called the decision "not just outrageous, it's just plain dumb. It is self-defeating." Ralph Lauren initially declined comment on the criticism, but 24 hours later announced clothes for future Olympics would be made in the United States. The label has an apparel contract with the USOC through 2020. "Ralph Lauren promises to lead the conversation within our industry and our government to address the issue to increase manufacturing in the United States," the company said in a statement. China's government-run Xinhua news agency published commentary on Monday denouncing the uproar over the uniforms, saying it violates the Olympic spirit. "The Olympic Spirit, which has nothing to do with politics, chants mutual understanding and fair play, so tagging the uniforms with politics by those U.S. politicians exposes narrow nationalism and ignorance, and violates the original Olympic Spirit," the commentary said. It's too late to change anything for the 530 American athletes in time for the London Games, which start July 27. The uniforms for Opening Ceremony will remain as planned - blue blazer, cream-colored pants for men and skirts for women and a blue beret with red and white stripes. The USOC initially defended the choice of Ralph Lauren, saying it was grateful for the support from an "iconic American company." On Friday, USOC CEO Scott Blackmun said the federation takes the complaints seriously. "We are absolutely committed ... to working with our sponsors to ensure that the concerns voiced are addressed," Blackmun said. "In the meantime, we ask for the American people's support. The members of Team USA have dedicated their entire lives to training for this one moment." Sen. Kirsten Gillibrand who along with Israel wrote a letter to the USOC chairman Larry Probst complaining about the situation, released a statement after hearing Friday's news. "When America's best athletes are representing our country on the world stage, we should be representing the best of American-made goods," she wrote. "The pride of our Olympic athletics goes hand in hand with the pride of American innovation and manufacturing. While I am greatly disappointed our athletes will not be dressed head to toe in Made in the USA this year, I thank the USOC and Ralph Lauren for hearing our voices and working to correct this mistake going forward. I look forward to cheering on Team USA."